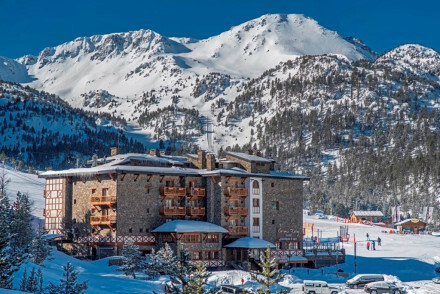 A small luxury hotel boasting a fabulous location in the Grandvalira ski resort. Romantic rooms are dark and atmospheric with wood and fur set against contemporary furniture. An indulgent spa and superb restaurant are the perfect spots to return to after a day spent in the mountains. Active Holiday - The Pyrenées offer a host of adventure activities and the hotel offers a fabulous spa to return to. Skiing - Grandvalira is the largest ski area in the Pyrenees and a landmark in southern Europe. Sights nearby - Discover some of the 50 catalogued Romanesque monuments in Andorra. Great walks - Find scenic mountain trails starting straight from the property.